The Philippine Coast Guard (PCG) sent one of its multi-role vessels in Iloilo to help in relief efforts especially to those far flung islands greatly affected by Typhoon Yolanda. The vessel BRP Davao Del Norte (SARV-3504) arrived in the Port of Iloilo last Saturday. In a meeting with local officials from LGU, DSWD and some media, Coast Guard District Western Visayas Commander, Commo Athelo Y Ybañez divulged, he had directed the vessel and her crew to bring relief goods to islands and islets particularly in the northern part of Panay where communications has been down for weeks since one of the worst storms to ever hit Philippines devastated most of the Central Visayas region. 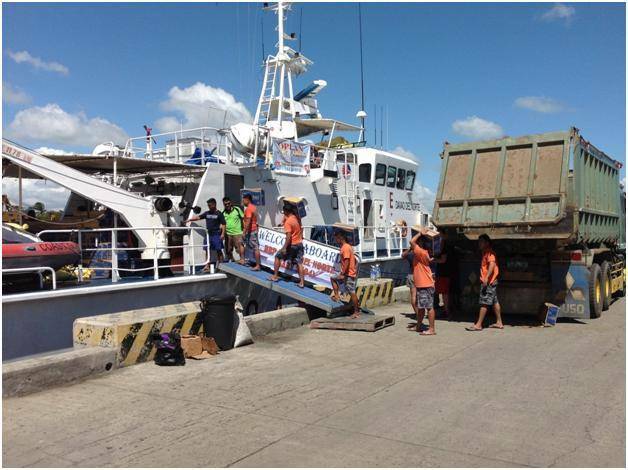 The ship will carry medicines, food, water, hygiene kits and used clothing, which are highly needed at this time by residence of those far flung islets. Commo Ybañez ordered the vessel’s commanding officer, Lt. Noriel P Ramos to conduct sorties in the municipalities of Ajuy, Concepcion, Estancia and Carles. Initially, a 20 ton relief goods will be delivered on Tuesday after which further relief operations by the vessels will be scheduled regularly where and when needed. 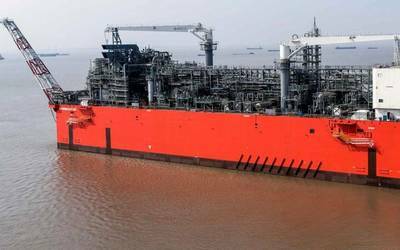 According to Commo Ybañez, he had likewise directed the vessel to be utilized in the oil spill containment and recovery efforts in Estancia after the relief operations sorties have been achieved.